Anfield legend Steven Gerrard looks set to play for Liverpool for the second time this year after it was confirmed that he would feature in the club’s end of season friendly in Australia. 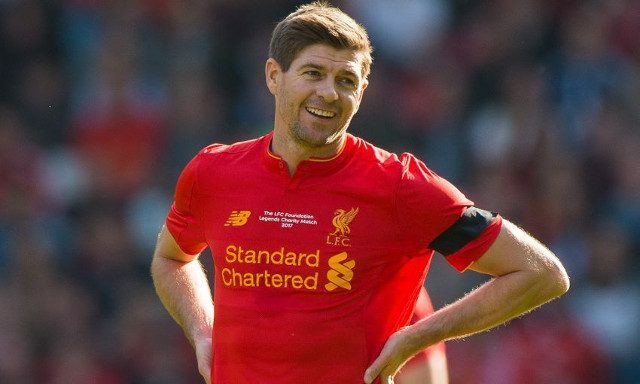 The ANZ Stadium will play stage to the club’s post-season match-up with Sydney FC on 24 May, which will see Gerrard as well as Jamie Carragher, Daniel Agger and Steve McManaman line-up alongside the current first team. All four will put on the Liverpool shirt once again having already featured in last month’s Legends charity match against Real Madrid at Anfield. The coming together of past and present Reds poses as an idea designed to help commemorate the club’s 125th anniversary this June. Gerrard himself seemingly, and frankly unsurprisingly, cannot wait for the occasion and the opportunity to play under Jurgen Klopp. “I’ve obviously been to Sydney before with the Legends and I’ve also been to Australia a couple of times with the first team. I’m really excited,” he told Liverpoolfc.com. A union of Gerrard and Klopp in addition to the prospect of the Liverpool icon linking up with the club’s current stars is something all Reds will have dreamed about. It promises to be a day to remember.